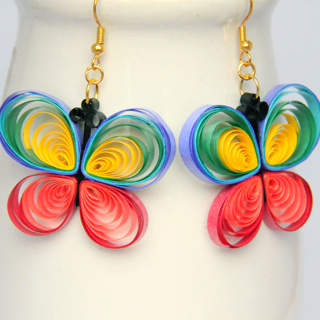 Today’s tip about making paper quilled jewelry is about making it sturdy. Paper quilled jewelry has the ability to look so dainty and lacey. And that is great! However, I personally prefer it to also be as sturdy as possible so it will last as long as any other jewelry. One of the ways I do this is by making the top sturdy. By “top” I mean the part that is connected to the jump ring (which is then connected to the earring hook). 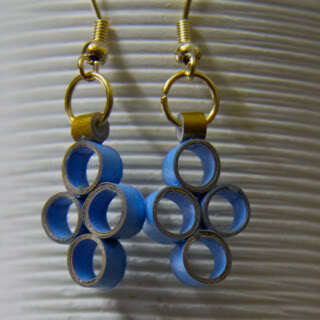 They are cute, but you’ll notice that there is really not a lot of contact between the top roll and the earring design. They will last if you are careful with them and you use good glue, but eventually the top might fall off. You can just glue it on again, of course. But since I sell my jewelry I like it to be as sturdy as possible, so I started to think of other solutions. I came up with several ways to get a nice sturdy top that won’t fall off. My first idea (and one that I still use on some designs) is to put three rolls together on the top (or sometimes even 5, depending on the design). This technique allows much more contact between the design and the top circle, with reinforcements on either side. I’ve never had a design with this type of top fall off for me. This past year I came up with yet another way to have an even more sturdy top, by wrapping paper around the entire design, including the top hole. This creates the most sturdy top of all! Of course, some designs don’t work well with either of these techniques. For some designs I completely took off the top roll so that the jump ring goes through the design itself, such as this lattice design. This one is extra sturdy because it also has a wrap around. For other designs, I’ll put a roll on the inside such as this crescent design. You might not even need the roll at all, but it keeps the earring in the proper position. When I create new designs I always think about whether it is attached sturdily enough. As long as there is more than one glue contact with the piece that the jump ring is going through, it should be fine. Some designs need a single top roll, but I always make sure they are not touching the design in only one spot. This butterfly, for example. The top roll is glued to both sides of the antennae (and the antennae are glued to the wings), giving it enough strength. 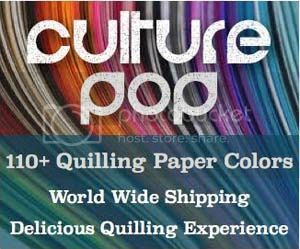 I hope this post was helpful to those who are looking to make their paper quilled jewelry even more professional and sturdy. If you already do, how do you make sure the tops of your paper quilled earrings are sturdy enough to handle every day use? PreviousStart Paper Quilling – The Fun Stuff! hi honey, i just started doing jewelery quilliing.Your tips are so good for person like me.Thanks a ton.Please keep posting tips and jewelry designs. Thank you for your comment 🙂 I have a lot more tips and designs to share and don’t plan on stopping anytime soon! Hi Parvathy 🙂 Yes, I am using containers, pens, tools, etc. to wrap the paper around for these shapes. For the smallest circles I use the end of my aluminum handle quilling tool. For the larger ones I use any bottles or containers that are the size I want. Now there is also the border buddy which can be used for the same thing. If it is not looking the way you want, try using a different length of paper. Changing the length of paper can make all the difference. Also whether you are using specialty cut quilling paper or your own cut paper can make a difference. 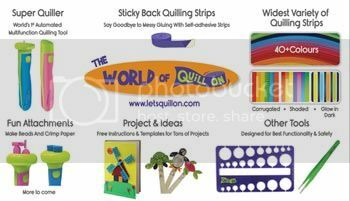 Quilling strips will give you a smoother finish on the edge. Why one uses varnish on the jewellary, for shine or for steardyness?